Instantly downloadable sheet music by Frederick Charles Maker for guitar solo of MEDIUM skill level. Alle Notenausgaben von Beneath The Cross Of Jesus zum Herunterladen bei VirtualSheetMusic. Alle Noten von Frederick Charles Maker zum Herunterladen bei VirtualSheetMusic. Instantly downloadable sheet music by James Alexander for guitar solo of MEDIUM skill level. Alle Notenausgaben von O Sacred Head, Now Wounded zum Herunterladen bei VirtualSheetMusic. Alle Noten von James Alexander zum Herunterladen bei VirtualSheetMusic. Instantly downloadable sheet music by Lyra Davidica for guitar solo of MEDIUM skill level. Alle Noten von Lyra Davidica zum Herunterladen bei VirtualSheetMusic. Instantly downloadable sheet music by Michael W. Smith for guitar solo of MEDIUM skill level. Instantly downloadable sheet music by Oliver Holden for piano solo of MEDIUM skill level. Alle Notenausgaben von All Hail The Power Of Jesus` Name zum Herunterladen bei VirtualSheetMusic. Alle Noten von Oliver Holden zum Herunterladen bei VirtualSheetMusic. Instantly downloadable sheet music by Richard Birch Hoyle for piano solo of EASY skill level. Alle Notenausgaben von Thine Is The Glory zum Herunterladen bei VirtualSheetMusic. Alle Noten von Richard Birch Hoyle zum Herunterladen bei VirtualSheetMusic. Instantly downloadable sheet music by Phoebe Palmer Knapp for piano solo of MEDIUM skill level. Instantly downloadable sheet music by William Henry Monk for piano solo of MEDIUM skill level. Instantly downloadable sheet music by Michael W. Smith for piano solo of EASY skill level. Instantly downloadable sheet music by Ithamar Conkey for piano solo of EASY skill level. 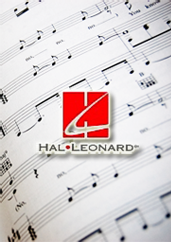 Alle Notenausgaben von In The Cross Of Christ I Glory zum Herunterladen bei VirtualSheetMusic. Alle Noten von Ithamar Conkey zum Herunterladen bei VirtualSheetMusic. Instantly downloadable sheet music by Rev. George Bennard for piano solo of EASY skill level. Elisha A. Hoffman – Are You Washed In The Blood? Instantly downloadable sheet music by Elisha A. Hoffman for piano solo of EASY skill level. Alle Notenausgaben von Are You Washed In The Blood? zum Herunterladen bei VirtualSheetMusic. Alle Noten von Elisha A. Hoffman zum Herunterladen bei VirtualSheetMusic. Instantly downloadable sheet music by John Rippon for piano solo of EASY skill level. Alle Noten von John Rippon zum Herunterladen bei VirtualSheetMusic. Instantly downloadable sheet music by John Hatton for piano solo of EASY skill level. Alle Notenausgaben von Jesus Shall Reign (Where`er The Sun) zum Herunterladen bei VirtualSheetMusic. Alle Noten von John Hatton zum Herunterladen bei VirtualSheetMusic.